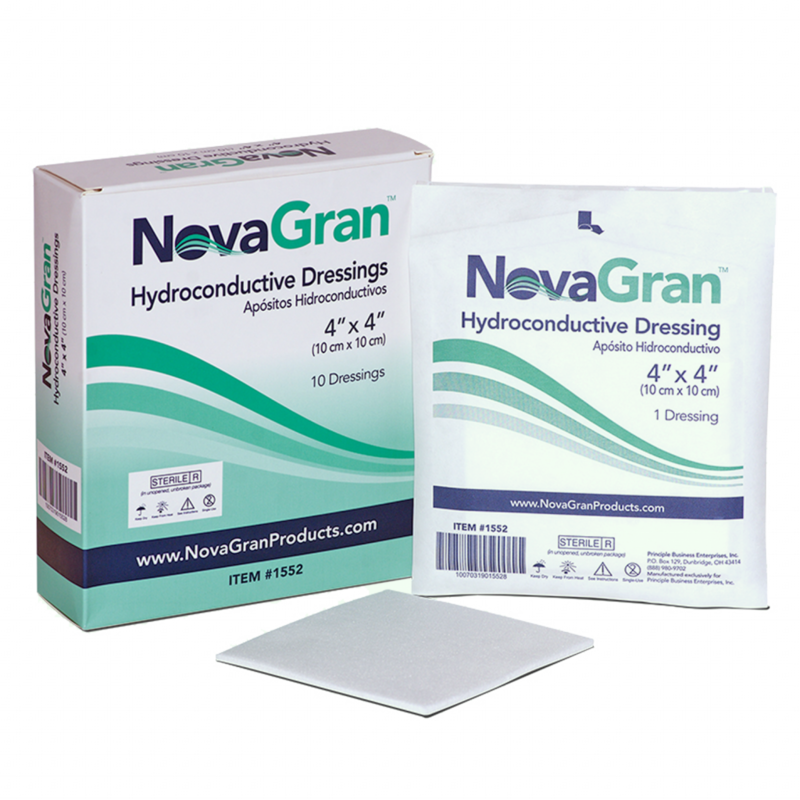 NovaGran Hydroconductive Dressings are multi-layered dressings carefully constructed with Smart Transfer Technology (STT)™, a blend of proprietary fibers that support excellent wound bed preparation and fluid management. Smart Transfer Technology™ is unique to NovaGran Hydroconductive Dressings and uses a combination of capillary, hydroconductive and electrostatic properties to quickly absorb and effectively transfer large amounts of wound fluids up and out of the wound bed. In heavily exuding wounds, STT™ will transfer wound fluids to additional dressing layers. Harmful wound components such as MMP’s, bacteria (infection), wound debris and slough are also removed with the wound fluid. Newly granulating tissue is left unharmed.